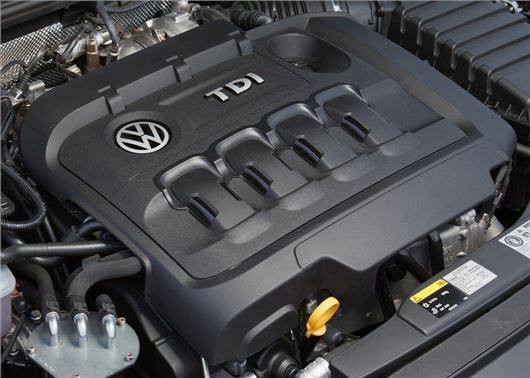 Volkswagen has outlined its 2016 recall strategy for EA189 diesel engines affected by the global emissions scandal. The recall will affect 11 million cars and start in January, taking 12 months to complete. Audi, Skoda, SEAT and Volkswagen models will be affected by the recall, with owners being contacted directly by local dealers. The recall work will be completely free of charge and voluntary - owners are not legally required to agree to the any of the update work. Recalls of EA189 2.0 TDI engines - built between 2012 -2015 - will commence from January 2016, with affected engines being subject to a software update to remove all traces of the NOx emissions 'cheat' software. Volkswagen says the work will take just a few hours to complete and will not impact CO2 emissions, performance or fuel economy. 1.2 TDI versions of the EA189 engine - also built between 2012 - 2015 - will start from April 2016 and be subject to a similar software update to the 2.0 TDI to remove the cheat device, which is designed to manipulate NOx emission tests. Again, owners will be contacted direct by Volkswagen and the update will take an hour or two to complete. 1.6 TDI EA189 engines will not be recalled until September 2016, but be given a mechanical upgrade, with a new flow transformer being fitted. This is a mesh that calms the swirled airflow in front of the air mass sensor and will improve the measuring accuracy of the air mass sensor. Again, like the 2.0 and 1.2 TDI recalls, Volkswagen says CO2 emissions, performance and fuel economy will not be impeded by the update. The recalls will impact Euro 5 engines only and will not affect petrol powertrains or any diesels built before 2012. However, Volkswagen has admitted that some petrol engines versions of the Polo, Golf, Jetta, Passat and Scirocco have inaccurate CO2 figures. As a result these will get revised CO2 ratings in 2016, although this will only impact new cars sold and not those already on the road. Current owners will not face higher VED costs as Volkswagen has pledged to cover all additional taxation. The VW software recall is an accident waiting to happen. I have asked VW several times to tell me how they test that durability hasn't been compromised and they won't give a straight answer. Unbelievable. Other manufacturers are saying that the whole point of gaming the system is to improve reliability. And now governments are getting annoyed that VW aren't deploying the so called fix (that doesn't improve real world emissions and could damage engine) quick enough. You couldn't make it up!